IELTS genel ve akademik olmak üzere iki ayrı sınav olarak uygulanmaktadır. Bu kavramların İngilizcesi akademik için IELTS Academic, genel için IELTS General Training olarak geçmektedir. Türkiye’de IELTS genel sınavını tercih edenlerin büyük çoğunluğunu THY’de ikinci pilot olmak isteyen adaylar ve yurtdışında daimî ikamet etmek üzere yerleşecekler oluşturmaktadır. Akademik IELTS ise adından da anlaşılacağı üzere yurtdışında lisans veya lisansüstü programlara devam etmek isteyenlerin tercih ettiği bir İngilizce yeterlilik sınavıdır. Genel IELTS ve Akademik IELTS sınavlarının okuma ve yazma bölümlerinin birinci kısımları, ikinci kısımları ise benzerdir. 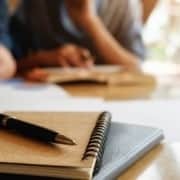 Bu yazımda genel ve akademik IELTS sınavlarının writing bölümündeki farkı ve benzerliği gösterip, konuya ilişkin örnek writing konularını ve cevaplarını vereceğim. Bunun için şöyle bir yol izleyeceğim. İlk başta hem akademik hem de genel IELTS sınavının birinci görevini göstereceğim. Ardından, yine her iki sınavın ikinci görevi olan essay örneklerini göstereceğim. Her iki sınav arasında tek farkın Writing Task 1 olduğunu, Task 2’de adaydan istenenin bir essay yazmak olduğunu belirtelim. Hem akademik hem de genel IELTS writing bölümünün birinci kısmında 150 kelimelik bir yazı istenir. Task 2 için bu sayı her iki sınav türü için de 250 kelimedir. The graphs above give information about computer ownership as a percentage of the population between 2002 and 2010, and by level of education for the years 2002 and 2010. WRITING TASK 1 You should spend about 20 minutes on this task. A friend has agreed to look after your house and pet while you are on holiday. Write a letter to your friend. 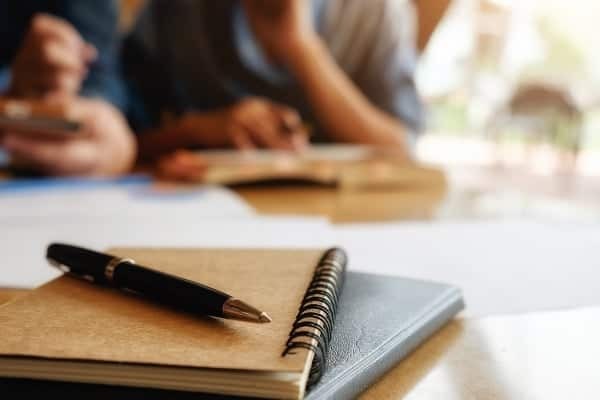 IELTS sınavının hem akademik hem de genel olan bölümünde Writing Task 2 aynıdır. Bu bölümde adaydan verilen konuyla ilgili bir essay yazması istenir. Aynı akademik IELTS’de olduğu gibi gelen IELTS sınavında da adaya bir konu hakkında fikrini yazacağı bir essay konusu verilir. Some people believe that teaching children at home is best for a child’s development while others think that it is important for children to go to school. Discuss the advantages of both methods and give your own opinion. Bu bölümde yukarıda sorulmuş olan sorulara verilen örnek cevapları bulacaksınız. Cevaplar yukarıda soruların sırasını takip etmektedir. The bar charts show data about computer ownership, with a further classification by level of education, from 2002 to 2010. A steady but significant rise can be seen in the percentage of the population that owned a computer over the period. Just over half the population owned computers in 2002, whereas by 2010 three out of four people had a home computer. An analysis of the data by level of education shows that higher levels of education correspond to higher levels of computer ownership in both of those years. In 2002, only around 15% of those who did not finish high school had a computer but this figure had trebled by 2010. There were also considerable increases, of approximately 30 percentage points, for those with a high school diploma or an unfinished college education (reaching 65% and 85% respectively in 2010). However, graduates and postgraduates proved to have the greatest level of ownership in 2010, at 90% and 95% respectively, 20 percentage points higher than in 2002. The last decade has seen a substantial growth in computer ownership in general, and across all educational levels. Given the power and influence of the super-rich, it might seem as if social status and material possessions are the new symbols of personal worth, but in everyday life I do not think this is true. It is apparent that most celebrities today are admired or envied solely for their material wealth or position in various social hierarchies. Many of these people are known to turn their backs on friends, cheat on their spouses or spend their evenings over-indulging in alcohol and/or drugs. Things like owning a mansion, driving an expensive car and getting into A-list parties are exalted above old-fashioned values. Ultimately, though, it is the many readers of gossip magazines and celebrity blogs who reinforce these ideas. Nevertheless, I do believe that in their day-to-day lives most people still believe in values such as honour, kindness and trust. In some way most of us want to form loving families, raise our children to be good citizens, stand up for the downtrodden and protect our communities from harm. We still form friendships, romances and business partnerships based on old-fashioned criteria. When our trust is abused or we are unfairly treated, we see that as a major violation of our relationship and we judge the wrongdoer accordingly. In conclusion, I believe there is some truth to the notion that status and possessions have superseded old-fashioned values as a measure of a person’s worth. Looking beyond the tabloids, however, it is apparent that most ordinary people have still preserved an old-fashioned conscience. The argument over whether learning at home or at school is better for children has not been settled yet. Whereas home education offers better protection with individual learning and opportunities for families to bond, schools have a superior range of material and human resources. Ultimately, I think the school experience is best for children. There are several advantages for children who learn at home. Firstly, they can spend more time with their parents and siblings. Many social problems are associated with families not spending enough quality time together. Teaching children at home also provides them with an individualised learning environment. Instruction is custom designed and moves at the child’s own pace and in accordance with his or her individual learning style. Finally, home schooling protects children from bullies and others who might be a bad influence. On the other hand, the school environment also offers advantages for children. Schools encourage children to socialise with their peers and learn how to cope with gossip, bullying and peer pressure. In addition, children will receive better tuition across a range of disciplines, as schools have teachers who are trained in special subjects. What is more, schools provide better access to physical resources such as sports equipment, musical instruments and library books. I believe that children are better off in a school environment. Although family time and individual learning are important, the range of expertise and resources that schools offer cannot be matched in the home. School environments may present difficult social situations, but so too does the real world and children must learn to navigate these on their own.